The locations, major events and certain characters in these stories are taken from Theah, the setting for the 7th Sea role-playing game (http://www.swashbucklingadv.com/). These particular stories are based on logs from my own role-playing adventures in this exciting world (http://www.btinternet.com/~s.mci/7thsea/7thindex.html). Theah is (sort of, but not quite) a fantasy version of 17th century Europe. It is filled with daring swordsmen, dashing pirates and dread villains. These stories are set in Montaigne (sort of, but not quite, France) and Avalon (sort of, but not quite, England). A young sailor joins the Sea Dog privateers of Avalon to find a life of adventure. Bright lanterns of coloured glass hung from tree branches and along the eaves of the roof of Surluse´s grand city hall. Laughter and music drifted out of the building and into the cold winter streets. Men in polished boots and smart frock coats escorted beautiful women in elegant dresses and sparkling jewels. Guests were beginning to arrive for the spectacular ball which should be the greatest social event of the festive season. A long wooden cart pulled to a halt in front of the hall. Two gentlemen, one short in a tri-cornered hat, the other taller with a woollen scarf obscuring his features, dismounted and leaned planks against the end of the wagon. Together they began to unload a large wooden barrel, rolling it down the planks and along the ground towards cellar doors at the side of the building. "Ahoy, Jack. What's this? More wine for the celebrations?" Some of the guests gathered at the hall's main entrance called out a jovial greeting to the new comers. The shorter figure in the black hat was known locally as Captain Jack Green, a senior officer among the Sea Dog privateers. In fact this identity was a sham. ‘Jack Green' was actually Jacques Duvert, a spy for an enemy government. His companion was Michel LePrev, another foreign agent who had sworn a vendetta of vengeance against the Sea Dogs. LePrev looked across to the crowd who had shouted the greeting. He whispered quiet words from behind his scarf, "You had better go and speak to them. We don't want to arouse any suspicions." "Yes, you're right." Duvert's eyes went nervously to the wide barrel which they had been pushing, "What about this? Can you manage alone?" "Don't worry about me," LePrev patted the side of the barrel, "I'm sure I'll have no trouble. Keep the guests calm, get them inside and then join me downstairs." Duvert drew a deep breath and nodded his understanding. He turned and walked across to the waiting revellers with his arms held wide and a broad smile on his face. Soon the group were chatting amiably and entered the hall to join those already engaged in the dancing and merriment within. LePrev continued to push the barrel down into the deep cellars below the large stone structure. The dim and dusty chambers reached far below ground level and were filled with all manner of junk, from long forgotten civic records to props from past theatrical productions, as well as the usual variety of janitorial supplies. A number of thick support pillars ran from floor to ceiling and a door at the far end opened to stairs leading into the building proper. The Montaigne agent closed and bolted the doors by which he had entered. A few moments were spent lighting candles and placing them on shelves and boxes to provide some faint light. LePrev then took an iron bar and prised open the lid of the wooden barrel. When he tipped the container onto its side a dishevelled female rolled out and came to rest on the dirty ground. Lizbeth was bound into a very tight and compact human ball. Her hands were joined behind her back with many turns of rope which held them pressed firmly together with the palms facing inwards. More long lengths of rope secured her arms to her body. Wide turns circled level with her waist, below the breasts and across her chest to pinion wrists, elbows and upper arms. The tucked position in which the girl had been tied caused the ropes to bite even more tightly into her arms due to the enforced arch of her back. Ropes weren't the only restraint which had been applied. Thin leather straps had been wound around Lizbeth's slender legs at ankles and knees. The shining buckles of the straps were fastened every bit as tightly as the ropes on her upper body. They indented the material of her trousers and cut into the soft flesh below. Before being deposited in the barrel, the bound girl had been made to kneel in a hunched crouch. Her knees had been bent and then pushed close into her chest. Another leather strap passed over the back of her neck and was threaded through the one already binding her knees. A last thong linked the ropes at her wrists to the strap around her ankles. With these final bands in place it had been impossible for Lizbeth to relax out of the cramped position. It was also impossible for her to complain about her treatment. A red cravat of thick silk was tied between her lips as a very efficient gag. Saliva had dampened the material trapped over her tongue, but the knot at the back of her hair was still secure and pulled the gag deep into the corners of her mouth. For good measure, a long sash had been wound about her eyes and upper face, acting as a blindfold that left her in helpless darkness. "Sorry about that, my dear. I trust the journey wasn't too distressing." LePrev bent and tugged the blindfold away. Blinking in the flickering candlelight, Lizbeth glared at her captor. The uneven roads taken by the cart, followed by the rolling of the barrel into the cellar, had left her feeling thoroughly dizzy and slightly nauseous. Large as the wooden barrel was, it had been barely big enough for her to fit in, even as a tight ball. Her knees, elbows and shoulders were bruised and scraped from constant banging against its rough sides. The straps fastening wrists to ankles and knees to chest were removed. Lizbeth gave a huge sigh of relief at finally being able to straighten and stretch out her legs. However that was to be the extent of her freedom. LePrev took hold of the girl below the shoulders and dragged her across to one of the wide supporting pillars. He left her sitting on the ground and pushed her back and bound arms against the pillar's cold surface. A tasselled length of thick curtain cord was found among the odds and ends scattered around the room. It was long enough to pass around the pillar and prisoner three times before being tied with a knot hidden well out of the way at the back of the post. "You asked earlier about my plans. Well, I see no reason not to reveal them now." LePrev gestured to five smaller barrels set in the middle of the floor not far from where Lizbeth had been tied. "The organisers of the ball above us were most grateful for ‘Captain Green's' donation of wine and ale for their celebrations. It was quite easy for us to smuggle in a few extra barrels for an altogether different purpose. These barrels contain enough gunpowder to destroy this entire building. Every one of the despised Sea Dogs inside will be dead before midnight - oh, and you too, of course." 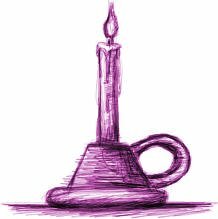 Lizbeth watched in dismay as her captor produced another candle, this one with thin lines marked at regular intervals along its length. He set it on top of the centre barrel, wrapped a piece of fuse cord a third of the way from the top and inserted the end of the fuse into the gunpowder keg. The door to the stairs opened as he finished priming the explosives and Jacques Duvert entered. He was pale and obviously anxious to leave as quickly as possible. LePrev nodded, "What about upstairs? Is everyone inside?" "Yes, all the expected guests have turned up." "Yes, yes," Duvert wiped away beads of nervous perspiration. "Excellent. I would have hated to go to so much trouble and missed killing the one man that brought me here." LePrev struck a match and brought it to the candle wick, "Well, my dear, it is time to bid you farewell. If I have judged the burn rate correctly, you should have half an hour to consider the implications of your betrayal of the revolution." The gag blocked Lizbeth's urgent protests. LePrev and Duvert moved to the door and exited the cellar. Their receding footsteps echoed from the stairs and the damsel was left alone to wait for her impending doom. Across town, consciousness began to return to Sean O'Brien. The bearded pirate was lying on the floor of an upstairs room in Duvert's town house. Still groggy from the kick he had received to the head, Sean pushed himself to a sitting position. There was no sign of either LePrev or Duvert. Worse, there was no sign of Lizbeth. He supposed that they must have taken her with them when they left to conclude their dastardly business. He had to get free to warn Captain Reynolds about Duvert's treachery and to somehow discover where Lizbeth had been taken. Sean's arms and legs were still tied. Lizbeth had been thwarted in her efforts to release him, but she had managed to start loosening the knots at his wrists. He pulled at the bonds. There was definitely some degree of movement. "Come on," he muttered to himself, "I can't afford any more delays." He tugged and twisted in determination, taking full advantage of the slackness in the rope. It seemed to take forever, and the efforts tore at his skin, but eventually he was able to squeeze one wrist free from the binding loops. The remaining ropes were hastily removed and he sprang to his feet. Ignoring his throbbing headache, Sean charged down the stairs and out of the house. Captain Reynolds would be waiting at the city hall to receive a report of their investigations. Sean prayed that there was still time to rescue Lizbeth and prevent LePrev from implementing his nefarious schemes. The small candle flame continued to slowly burn. Its steady course gradually brought it lower and lower, relentlessly drawing closer to the fuse and deadly stash of gunpowder. Lizbeth gave a low moan of fear. She had less than half an hour to somehow get free or her life would end in a fiery explosion. Her heart was racing. Cold sweat ran down her face, but she knew that she mustn't panic. The highwaywoman sucked a deep lungful of air past her gag and tried to clam her nerves. This was no time for hysterics. She would need clear thoughts and steady actions if she was to find a way to escape this peril. Lizbeth flexed her muscles and once again tested the strong ropes which bound her. It was no use. The knots and constricting bands were just as secure as when LePrev had first applied them. Her arms were drawn tightly against her spine and now sandwiched against the heavy pillar. LePrev had used an abundance of rope following her first attempts at escape. She had next to no freedom to move her arms at all. Her abused limbs ached from the harsh pressure of the ropes, the bruises from being so roughly transported and the strain of being restrained for so long. The poor girl would desperately have loved a chance to rest, but she could certainly not afford that luxury. Her fingers fluttered and searched for a knot, a loose loop, anything that might provide a means of untying herself. Again her hopes were dashed. Over a dozen very tight turns had been wrapped around her wrists and lower forearm. The lowest coils had been knotted so strictly that the damsel's fingers were starting to feel numb and lifeless. Not that full sensitivity would have made much of a difference. With her hands held palm to palm and her wrists locked to the back of her waist, there was absolutely no way that she could ever grasp the key knots so far beyond her fingers' reach. There seemed to be no way out of the dire situation. Lizbeth leaned her head against the pillar and blinked back tears of despair. The muted strains of a violin and cello sounded from far overhead. The captive could just about hear the muffled sounds of laughter and happy conversations. The party goers above had no idea about the imminent danger beneath their feet. Lizbeth drew a breath and yelled with all her might. She begged for help, clamouring for attention. 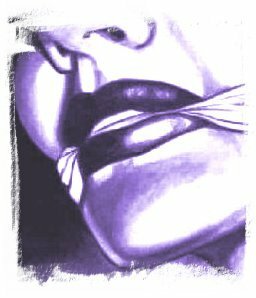 The thick gag mangled her words and stifled the intensity of her cries, but she had to try something. If somebody could be made to hear then she might yet be rescued. The distressed heroine stamped her bound feet against the hard floor as she continued her frantic pleas. She bucked against the cord pulling her to the pillar, throwing all of her energy into her struggles. The efforts only left her even more tired than before. Of course nobody would hear her, in the midst of their celebrations they probably couldn't even hear the person standing across the same room. Meanwhile the candle had continued to burn. Wax melted and the wick was slowly consumed. Already the first marked interval had been reached. Lizbeth sobbed and hung her head. She was defeated and helpless. Soon the second and third markers would be passed and her adventures would come to a terrible, fatal conclusion. There was a considerable commotion when Sean burst into the city hall's reception area. The sight of a bearded Inishman with a bloody cut to his head, a filthy shirt and wild eyes, caused many of the refined ladies present to shriek and back away in horror. Several young bravos drew swords and moved to confront the savage looking intruder. Sean pushed his way past the blades, trying to reach the main dance hall, "Where is Captain Reynolds? I must speak to him at once." "How do you know Lord John Reynolds? Get back to whatever pub you have staggered out from." "You don't understand," Sean was becoming exasperated. He didn't need this unnecessary obstacle, "I serve under him on the ‘Kingfisher'. I must find him." "I'm over here, boy. What have you discovered?" The young pirate turned in relief and the bravos cleared a path as the tall captain marched across. Sean was quick to blurt out his news, "Sir, we've found the traitor - it's Captain Green. That villain from Montaigne, LePrev, he's here too. Sir, I think they have taken Lizbeth. We need to find them." "Slow down," Reynolds placed a restraining hand on Sean's arm, "Are you certain that Jack Green is involved?" "Yes, sir, only that's not his real name. There were letters hidden at his home, but he and LePrev showed up before we could get away. They're up to something, sir, and whatever it is, they mean to act tonight." Reynolds watched Sean carefully while he rushed through the story. Satisfied with what he had heard, he gave a nod, "Good work, Sean. You've done well." He then turned to the bewildered young noblemen who had listened to their exchange, "Have any of you seen Captain Green tonight?" "I have, my Lord. He was bringing new wine to the cellars a little earlier." Another shook his head and stepped forward, "He's not there now. I have just seen him leave with his guest. Apparently he was feeling unwell and had to go home." Reynolds gave a grim smile, "He'll feel unwell when I get hold of him. Sean, get to the cellars and find out what he was doing there. You three seem eager to use your swords. Follow me and we'll put them to good use." Sean moved to a stairwell leading below ground level while Reynolds and his new companions ran outside. Several doors lined a narrow corridor in the basement. Not even certain what he was looking for, Sean begin to move down the passage, opening doors and peering into a series of small, dark rooms. He finally came to the last door and stepped into the wide cellar space. Lizbeth looked up at the creaking sound of the door. Her heart soared when Sean entered. She immediately renewed her gagged calls for help and thrashed within her bonds to draw his attention. Sean swiftly ran towards his bound and distressed lover. He placed his hands on her cheeks and tried to place a tender kiss on her forehead. Lizbeth twisted away and nodded behind him, her eyes wide and insistent sounds coming past the cloth in her mouth. "All right, hang on," Sean reached behind her head and untied the cravat. When the gag was pulled free, Lizbeth could at last manage distinct speech, "Idiot! Stop the bomb and then kiss the girl." "What? Oh!" The pirate turned and, at last, noticed the powder kegs and burning candle. He licked his fingers to snuff out the flame and pulled the fuse from the barrel. He turned back with a grin, "Better?" Lizbeth closed her eyes and exhaled a long sigh of combined fatigue and relief. Soft tears squeezed between her lashes. All of the tension and fear from her ordeal washed away in a wave of draining exhaustion. She sagged against the pillar and allowed Sean to undo the rest of her bonds. When her arms were free she weakly wrapped them around his neck, "You've saved my life." Gathering her trembling body close, Sean brushed damp hair from her face, "You said something about kissing the girl?" Long minutes had passed, but their lips were still locked when a discrete cough interrupted their embrace. Captain Reynolds was standing at the doorway with his rapier in hand, "I thought you might like to know that ‘Green' and LePrev have been apprehended and placed under arrest. Can I assume that you have dealt with any threat at this end?" The pirate and highwaywoman nodded a confirmation. Reynolds smiled, "Good. Now go and get changed. The night is still young and there is a ball to attend." Laughter and music filled the main ball room of the city hall. The party was still in full swing. Servants bearing trays of food and drink passed among the assembled mixture of Sea Dog officers and nobles from the Queen's court. The Prophet's Mass festivities were always a cause for celebration and none knew how to celebrate better than Avalon's privateers. A loud cheer interrupted the gossip and banter of the revellers. People turned and joined in applause as the guest of honour leapt onto a small stage. Commodore Douglas grinned and accepted the adulation before raising his hands to gently call for silence. "My Lords and Ladies, I promise not to keep you from your wine for long ..." he smiled at the shout of approval from a wag at the back of the hall, "But first I must say a few words. Some may have heard rumours already, but I can confirm for you all that tonight a treacherous Montaigne plot within the heart of our organisation has been foiled." Douglas waited for the buzz of reaction to die down before continuing, "Thanks to the courage of one of our own, the spy's activities have been revealed and the traitor apprehended. Ladies and gentleman, I give you Captain John Reynolds!" Another round of applause broke out and the crowd parted to allow Reynolds to join the Commodore on the stage. Douglas shook his friend's hand warmly and bent to say a few private words before lifting a glass and raising it to the crowd, "Please, join me in toasting John Reynolds - a fine man and true Sea Dog officer." Reynolds' name was raised in proud salute by the crowd. Well-wishers moved to congratulate the captain as he stepped down from the stage. Noble lords slapped him on the back and asked for details of his heroics. Ladies gazed admiringly over their fans and speculated about the existence of a Lady John Reynolds. At a signal from the Commodore the small chamber orchestra started to play once again and the party swung back into life. Standing alone at one side of the hall, Sean O'Brien turned away from the scene of congratulations to grab a drink from a passing servant. He stared glumly at the delicate crystal and its meagre contents. He was bored out of his mind. Reynolds had insisted that the Inishman come to take his share of the credit for their efforts. Sean's usual scuffed boots and loose shirt had been replaced with a borrowed pair of brightly polished knee boots and a heavily starched formal dress tunic. He felt uncomfortable, hot and out of place among the upper echelons of Avalon society. The wine was downed in one mouthful and he ruefully returned the empty glass - you couldn't even get a decent drink from a pint glass. Still, there was something to be said for the view. He grinned to himself as an elegant noble woman glided past. The gowns and jewels may be more expensive, but the glimpses of cleavage and flirtatious glances wouldn't be out of place in a Jenny's parlour. His roving gaze came to a sudden stop when a late-arrival entered the ballroom. Sean almost choked in shock and could only recover enough to stare slack-jawed as the beautiful woman searched the room and smiled before walking in his direction. A tight-fitting bodice of crushed green velvet hugged her at the waist before fanning into the neat, embroidered folds of a long skirt which rustled gently with her steps. The dress was cut low to reveal the soft flesh of her bosom and gracefully rounded shoulders. Sean swallowed as his eyes rose. A choker of thin black ribbon surrounded an exquisitely tapered neck. A few loose strands tumbled from the chestnut curls of softest hair that were pinned in place above a face of such loveliness that it took his breath away. The gorgeous figure stopped before him and caught his stare with her own brown eyes. She gave an elegant curtsey and smiled in greeting, "Good evening, my Lord." Sean had to swallow and lick his suddenly dry lips before replying, "Lizbeth! You look ... you look beautiful." Lizbeth smiled and gave a modest nod of acknowledgement, "Why thank-you. Aren't you going to ask me to dance?" "What? Oh! Yes, of course," Sean coughed to clear his throat, "I mean, would you do me the honour of this dance, my Lady?" Lizbeth gave another little curtsey and held out her hand, "I would love to, my Lord." Sean gently took her fingertips and lead her onto the dance floor. The violinists began a slow waltz by a popular local composer. The floor filled as noble couples paired off and moved through the formal steps and twirls of the required dance. Sean had no training in the courtly graces, but neither he nor Lizbeth cared as they held each other and moved together to the music. Lizbeth let Sean guide her across the floor and between the other couples, "You look very smart tonight - the proper gentleman." Sean hadn't stopped smiling since they had stepped onto the floor, "Have I told you how beautiful you look? No one in the room even comes close to you." This time Lizbeth blushed at the sincerity of his words. It was only a slow dance, but she could feel her heart starting to beat faster as his arm around her waist pulled her close. She turned her face away and closed her eyes as he leant in. His rough beard and warm lips sent a wonderful sensation through her body as he placed a kiss on her neck - definitely not a formal dance move. The music stopped and the dance ended. Onlookers clapped politely as the couples parted and bowed to their partners. Sean's hands lingered at Lizbeth's waist as they held each other's gazes in unspoken affection. At last Lizbeth broke the spell. "I think I need a drink." "Here, let me fetch you one." Sean lead Lizbeth from the dance floor then moved away towards the serving table. His heart was still dancing as he picked up two glasses of wine. He turned to head back to Lizbeth and was intercepted by Captain Reynolds. The older man handed him a rolled parchment, "A final gift of thanks, Sean." Sean took the parchment and began to unroll it. Faded ink marked the shape of a coastline covered with small scribbled numbers and a single distinctive red cross. A single name was signed at the bottom of the sheet. "A treasure map?" Sean looked again at the name, "One of Reis' treasure maps? Are you mad? Reis is the most bloody pirate on the seas. Nobody would dare rob from him." Reynolds smiled knowingly, "Reis was the most bloody pirate on the seas - not any more. A few months ago he tangled with one of our captains, Bonnie McGee, on the distant island of Cabora. Reis hasn't been sighted since. His treasure is lying out there for the taking. I'm getting too old for such nonsense, but if you and Lizbeth still have a heart for adventure, that map could be your path to fortune and glory." The captain lifted his own glass in a salute, "Good luck, Sean. I'm looking forward to hearing further tales of your exploits together."